Apple’s AirDrop is a feature that allows files to be transferred between macOS and iOS devices super-easily, but as always, things can be made to work even more seamlessly by making one small change. That change makes it quicker to send files from a Mac, using AirDrop, and it’s a super easy one to achieve. By default, AirDrop can be accessed via the Finder in macOS as well as by using the Command-Shift-R keyboard shortcut. There are Siri and Spotlight options as well, but there are few easier ways of doing anything on a Mac than via the Dock, so wouldn’t you like to have AirDrop there, too? Of course you would. 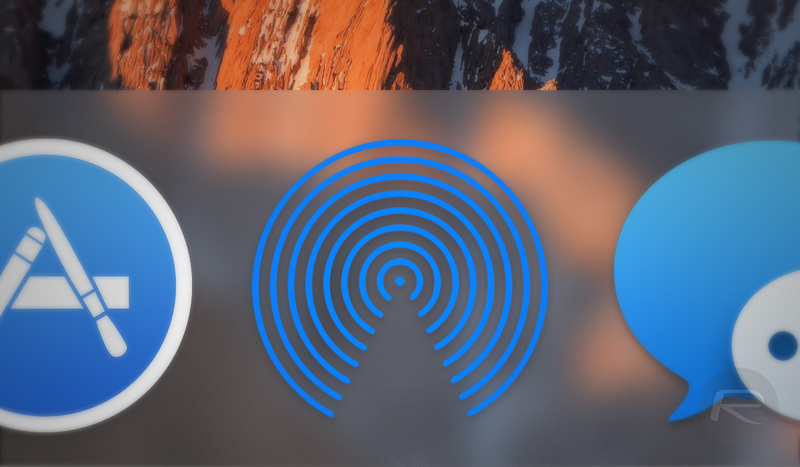 You can add any Mac app to the Dock, and as AirDrop is essentially just a Mac app like any other, there is no reason you cannot add it to the Dock, too. It just needs a little finding, that’s all. Step 1: Open a Finder window and select the Search bar. Step 2: Type in Finder and hit return. Make sure that This Mac is selected as the search option. Step 3: Right-click on the Finder icon and select Show Package Contents. Step 4: Now, you can see all the magic that makes the Finder work. Navigate through Contents, Applications and you will see AirDrop. Drag it to the Dock, and you’re set. If you’d like another option that achieves the same thing, here’s what you need to do. Step 1: From the desktop, select Go from the menu bar followed by Go to Folder. Step 2: Paste in the following text, followed by clicking Go: /System/Library/CoreServices/Finder.app/Contents/Applications/. Step 3: This will open the same folder as earlier. Again, drag AirDrop to the dock. That’s all there is to it. Now AirDrop is just one click away at all times. Else. Just enable spotlight by pressing command + spacebar, type airdrop, wait for the results to display and drag airdrop from the menu below to the dock. Are most apple users this dumb? sad.